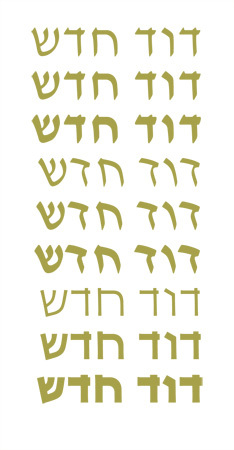 A long time coming, the complete family of David Hadash has been released by Monotype. It includes not only the nine faces (now called Formal, Script and Sans) in three styles in the original concept, but also three weights of Formal with Biblical marks. Read about it here and here and here.